Pinkalicious knows something very special is visiting the garden. To find out what it is, cross out the letters that appear more than once and reveal the mystery word. 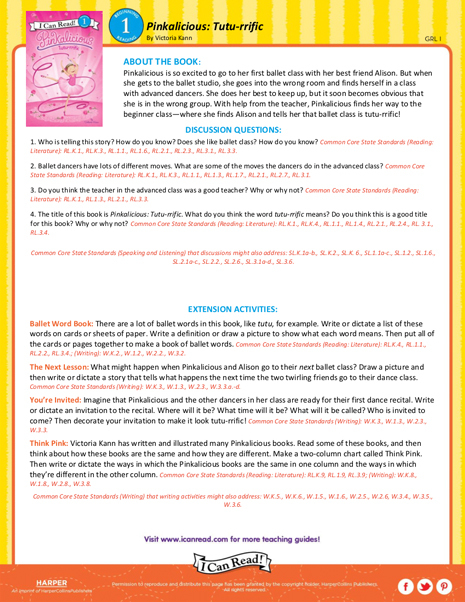 Rhyming is pinkamazing! Help Pinkalicious think of some pinkatastic rhymes for the words. In Pinkalicious and the Pinkatastic Zoo Day, Pinkalicious has a great day at the zoo. 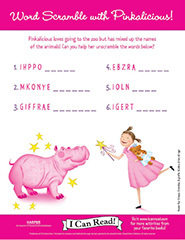 Pinkalicious has mixed up the names of the animals. 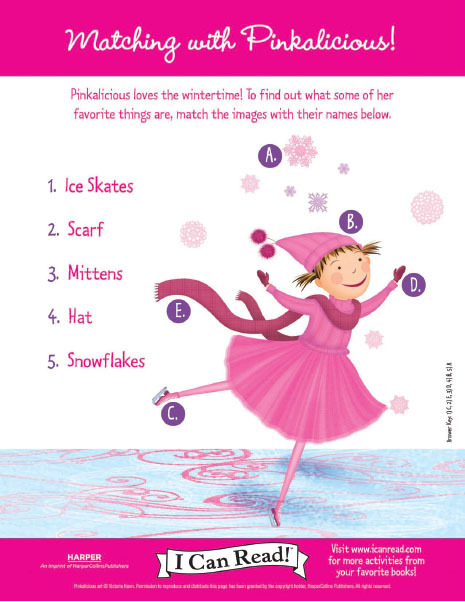 Can you help her solve the word scramble?